Building on the significant progress made to date and recognizing the urgency of needs on the ground, late in 2017, the Mayor committed to accelerate the pace of Housing New York to complete our initial goal of 200,000 homes two years ahead of schedule – by 2022 – and expand the plan to create and preserve an additional 100,000 homes by 2026. 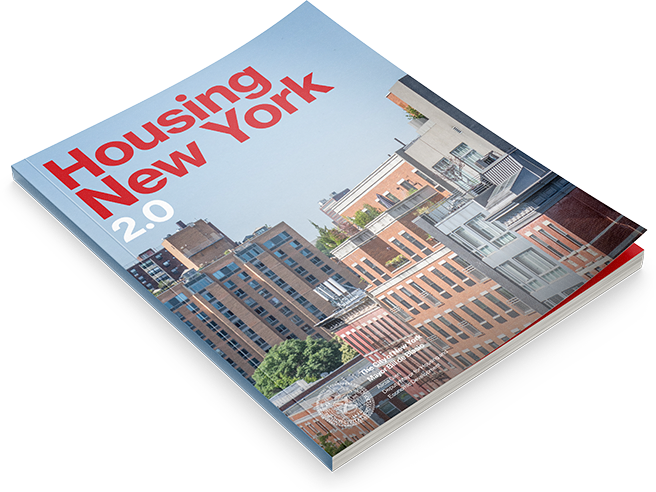 The City also developed a roadmap, known as Housing New York 2.0, to lay out the new policies, programs, and initiatives that would enable us to achieve this new goal. Key to this strategy will be continuing to fight for the resources needed to create and preserve affordable housing. Already, HDC has been leading the charge nationwide to protect and enhance the Low-Income Housing Tax Credit program and increase the reach of private activity bonds. As we push forward, we will continue to work with partners across the public and private sectors to advocate for these and other critical needs. As this year’s annual report demonstrates, there is much to celebrate and we must build on that success to do even more in the years ahead to achieve a more affordable, equitable, diverse, and unified city.